This is a EPIC opportunity for anyone over the age of 16 to experience a multi-faceted, multi-media, digital technology, games, coding and virtual reality BONANAZA! 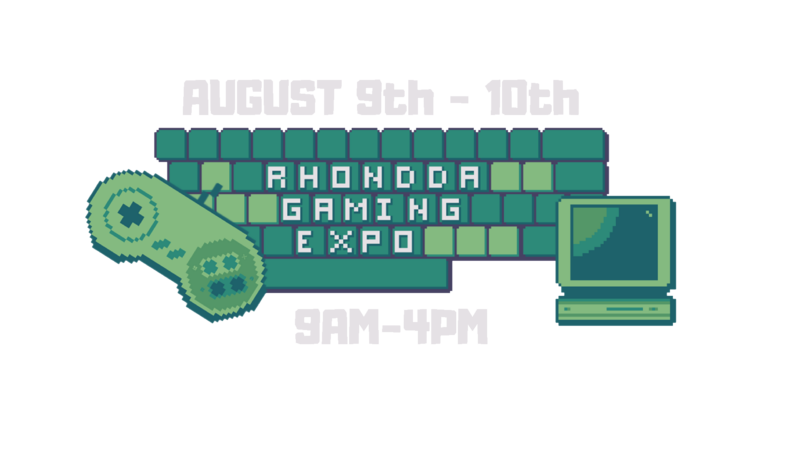 The Rhondda Gaming Expo is the first of its kind and provides an opportunity for GAMERS to play with digital kit, make tiny computers do stuff (i.e. Lego, microbit, Rasberry Pi), meet others from university who can talk about courses and opportunities as well as employers and innovators who earn a living via making games, apps etc..
Over the two days get your hands on exhibitions, play retro games, dive into virtual reality and operate the Lego buggy. There will also be a chance to get involved in workshops where you can learn to code, produce audio for games, learn about design, build a gaming PC and understand marketing. YOU DO NOT WANT TO MISS THIS EPIC OPPORTUNITY! PRESS START TO REGISTER FOR FREE!